EdTech Help GuidesED206 Excel TCAHow Do I Copy And Paste Content Into Excel? 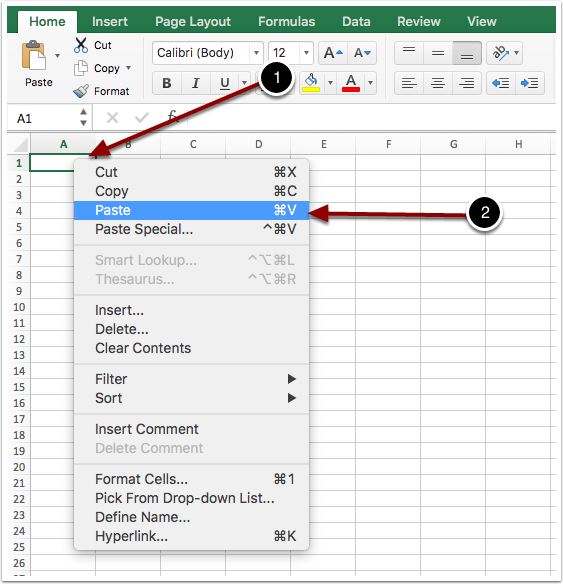 Below are instructions on how to copy and paste content from a webpage into Excel. 1. 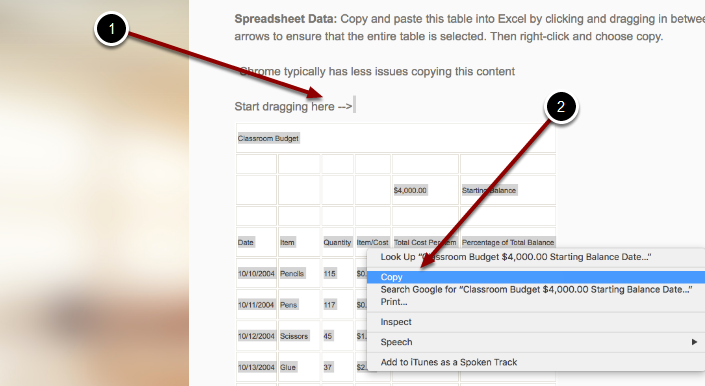 Follow the directions on the page and click and drag until all of the data is highlighted. 2. Right click and select copy (or use "Command C" on Mac and "Ctrl + C" on Windows). Make sure you are using Google Chrome. We have found that the content transfers over best when Google Chrome is used. 1. Right click in cell A1 (or use the keyboard, selecting the command key and the v key). 3. Select the the paste option. Prev: How Do I Complete The Practice Excel TCA? Next: How Do I Format The Data In A Spreadsheet?